Littlenose is learning to hunt. He has to practise tracking dangerous animals and spear-throwing. Sometimes he's even allowed to join the grown-ups on hunting expeditions. 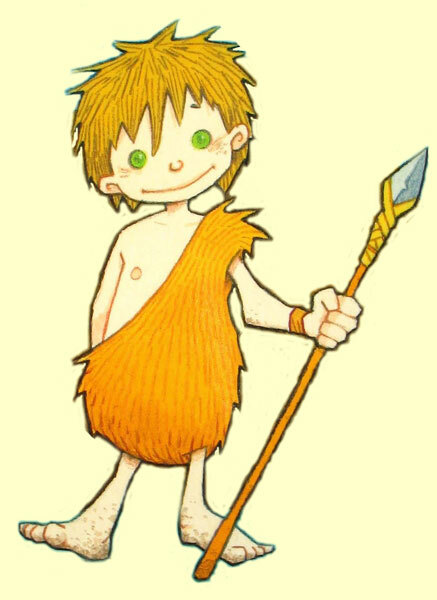 But being a caveboy is a dangerous business - there is plenty of opportunity to get into dangerous scrapes, and Littlenose is particularly good at that. He just can't stay out of trouble!